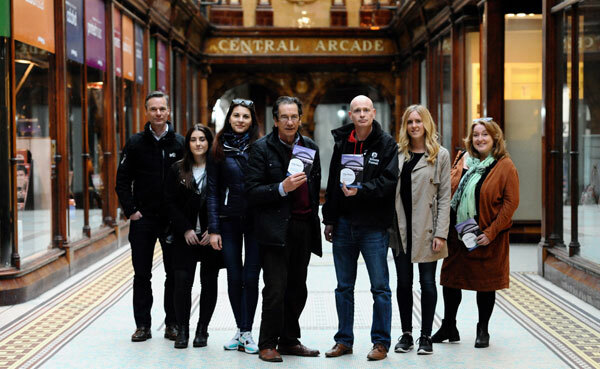 Newcastle City Guides are a group of enthusiastic, knowledgeable and trained volunteers who share a passion for the history, heritage and culture of NewcastleGateshead. Established in 1962, the Guides offer a programme of almost 50 different heritage walks, covering Newcastle City Centre and beyond into Gateshead, Jesmond, Gosforth and the Coast. Themes include hidden history, industrial heritage, public art and ghostly and grisly tales. The Guides also have a ‘City Highlights’ walk every day from June until the end of September, which is an ideal introduction for tourists and visitors to the city. The daily tour starts at 10.30am in Central Arcade and finishes at 12 noon on the Quayside. All guided walks cost £4 for adults, £3 for concessions and are free for accompanied under 16’s. Most tours don’t need to be booked in advance, unless specified on the Guides’ website. Newcastle City Guides also offer tours of Grey’s Monument, giving people the opportunity to climb the 164 steps to take in spectacular views of the City and beyond. Private group walking tours and Grey’s Monument openings can also be booked by emailing the City Guides.